After something totally awesome, well we have you sorted with this rad new design. 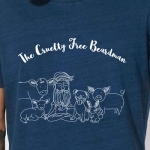 Showcasing all that is amazing with being a beardman, and living a cruelty free lifestyle. 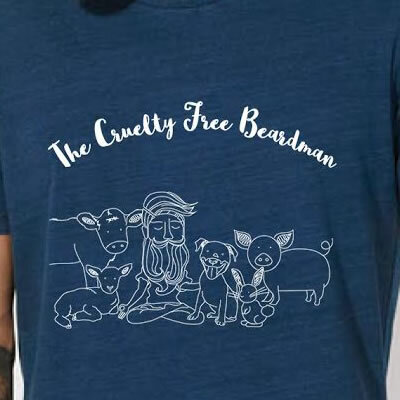 The Cruelty Free Beardman shirt will blow your socks off…ha ha. 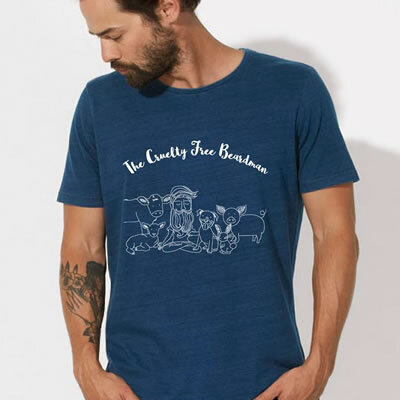 Designed by a very talented local artist, this is a one of never to be seen before shirt. We have sourced a local company that uses soy based inks, as to not to harm the world and our little animal friends. Wear and be AWESOME!!! 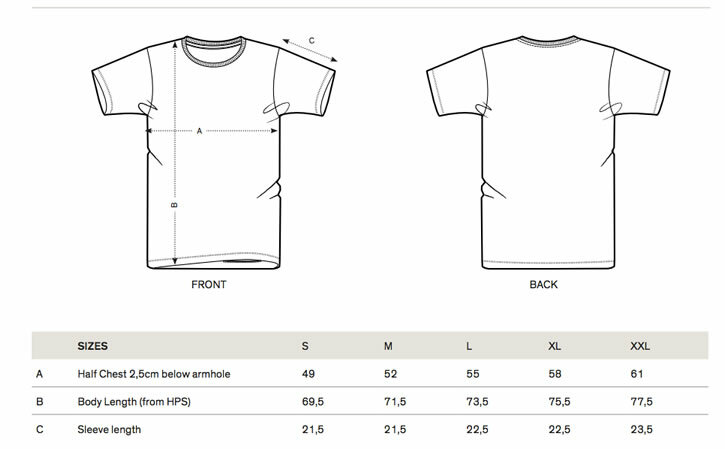 Check out the size sheet below to ensure you get the right one. 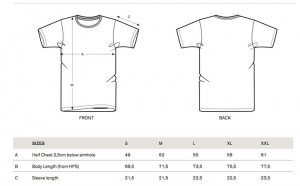 If you do choose the wrong size and want to exchange, you will just have to pay for the shipping costs. We do not offer refunds. *Please note, that we do not hand make the apparel. They are made by a manufacturer. All the material and information is provided by the manufacturer. It is important to read the descriptions as colours may seem different depending on your computer/phone/tablet screen or resolution/brightness. *Please note that colours may fade. Especially the first few washes. As they have come to us directly by the manufacturer. We have not washed them initially. So please do wash separately a few times to ensure none of your other items of clothing are damaged. To ensure longevity of the apparel it is advised you wash delicately. I received the package this arvo thanks so much!!! I just need to measure it next to my fiancé’s other shirts and make sure it will fit him 🙂 I think it will be fine. Shirt is amazing, he will love it for sure. Thanks for the brilliant service as always! !